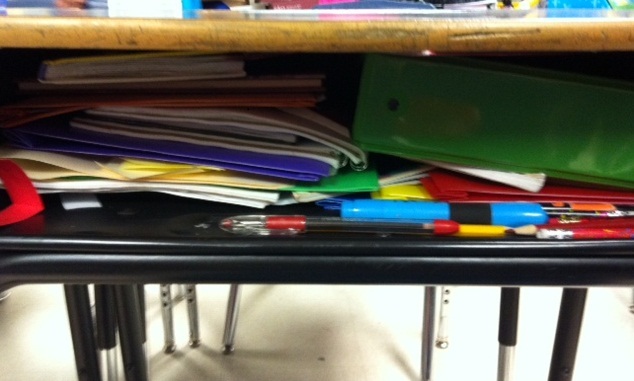 How do you encourage your students to keep their desks clean and orderly? I use the "Frog Desk Fairy"! She comes by unannounced and at random times when no one is in the room. It is so exciting because she will leave a card with a little prize attached. I had these cards made I mean, The Desk Fairy had these cards made at *Vista Print*. They are just a different use for business cards. The students love finding these on their desk with a brand new pencil or other party favor type trinket. Sometimes the Frog Desk Fairy leaves classroom tickets that students use to "buy" things from the treasure box. Everyone LOVES the Frog Desk Fairy! Well, I guess not everyone. The unorganized, messy desk keepers hate dislike her! They try and try to keep their desk clean but they just can't! (By the way, I fall into this group! LOL!) All I hear is, "it's not fair! The Desk Fairy never leaves me anything". I do remind the students that everyone has the same chance to keep their desks neat and orderly so it actually is fair but nonetheless I still hear the complaints. I think I've come up with a solution. I actually "borrowed" this solution from another teacher who shared the idea during a workshop one day. Anywho, now all the kids (even the ones who are neat challenged) can keep an orderly desk. First I had my messy desk keepers empty out their desks completely. Boy, did we find some treasures.... we found many of my books, some snacks, some snack wrappers, love notes, cut up erasers, jewelry, and even sea shells! Once the students took everything out of their desk I helped them remember what was supposed to be kept in their desk, what was supposed to be kept in their supply boxes, and what should be kept at home! Then I handed everyone the cover to a box of paper reams. 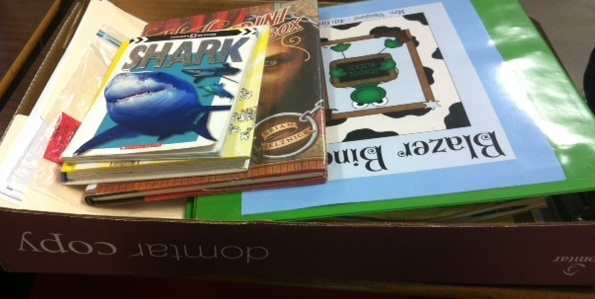 The students were instructed to put their spirals, folders, and binder in their box covers along with any books they were currently reading. 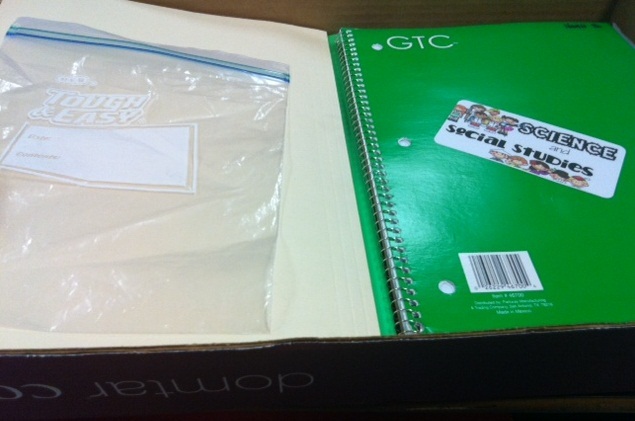 The students were told that nothing could stick out of the box covers but as you might notice in the picture with the binder some things didn't fit flat in the box cover but I accepted it because it was just a little bit and did not make a difference when we placed the filled box top in the desk. 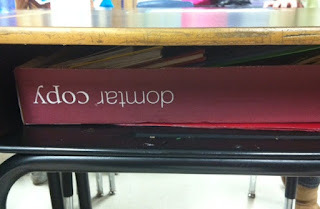 The box cover becomes a "drawer" for the student desks. The students are not allowed to put in anything extra unless it fits in the "drawer". Pencils can be kept on the side of the drawer but that is the only exception. Every time a student needs something from their desk they have to completely pull out the drawer, pull out the item, and then put the drawer back. When they put something away, its the same thing.....they have to pull out the drawer and have to put the item away before setting the drawer back. Yes, it took a short amount of time to get use to but it works!!!!!!!!!!!! Now when the Frog Desk Fairy comes for a visit she coincidentally leaves prizes for a lot more students. Join my linky party by sharing your classroom organization tips below. Don't forget in order to participate you need to create a post and link to that specific post (not just the home page of your blog) and you must mention/link my linky party in your post. Can't wait to hear from you! 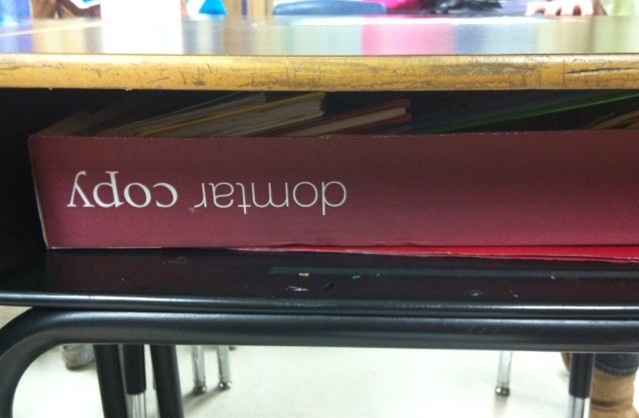 Clever way to keep those messy desks clean. Never thought of that one! Thanks Brian! It works like a charm! I love your frog desk fairy. 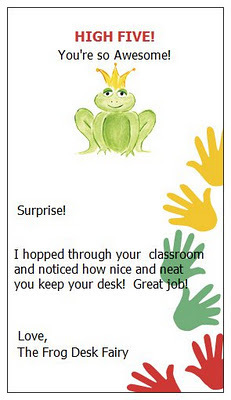 I have heard of the desk fairy before but adding the frog to it fits my classroom as perfectly as yours. Thanks!!! Hmm... this is a very interesting idea. A 'drawer' may help my little slobs. I like it! Thanks! Great idea! Now to find all those box tops. Thanks! Good Luck finding the box tops! I would love to have plastic trays! I think I will use this idea for my especially messy kids. It's working so far! Clean desk all around! I love this idea! I need to use it myself! My kidney table is my desk/ work table with kiddos and sometimes it looks like some dragon spewed papers all over it. Thanks for sharing..now I will be on the scrounge for paper box lids! LOL Randy Sue! I have the messiest desk in the whole room! I wish all it took was a box top to keep me organized! Hey Jen - where do your kids keep their supplies if you have tables? I would rather have tables instead of desks but then there are times I like desks. Which do you like better? Our new third grade teacher did this this year, also. She had the kiddos decorate the front of their drawer with their name, etc., as well. It is also handy for when a student needs to change desks...they just take along their drawer instead of moving the whole desk. I like the idea of having the kids decorating them. What a great idea! I love the desk drawer! I have a desk fairy and in her early days she made the mistake of leaving a trail of "fairy dust" (glitter) behind with a special note. I soon realized that the students the fairy visited the most would get a little uptight when they found their clean desk littered with fairy dust and with a look of panic they would rush to clean it up...now she leaves kisses! Love your blog! I'm a new follower. I love your idea about the Frog Desk Fairy. I use a cleaning monkey, who visits the classroom every night when the kiddos are tucked up in bed. He leaves little postcards (vistaprint too - aren't they great..? ), with a tidiness rating for each desk. The kiddos work really hard to get a card. Oh my... DUH!! Teaching kinders on tables, so not a solution for our messiness at the moment, but has me thinking! Thanks for the share. Passed it along to a few colleagues and pinned it, too. The day I saw this post with the paper box lids, I went and scarfed 20 of them from the empty boxes in the workroom. I made all my kids use them since I think it is such a wonderful idea! Thank you so much. I have at least 10 kids who are really disorganized. Hopefully this will help! I love the drawer idea! Thank for sharing.